The roundhouse styrene floor initial installation is completed. 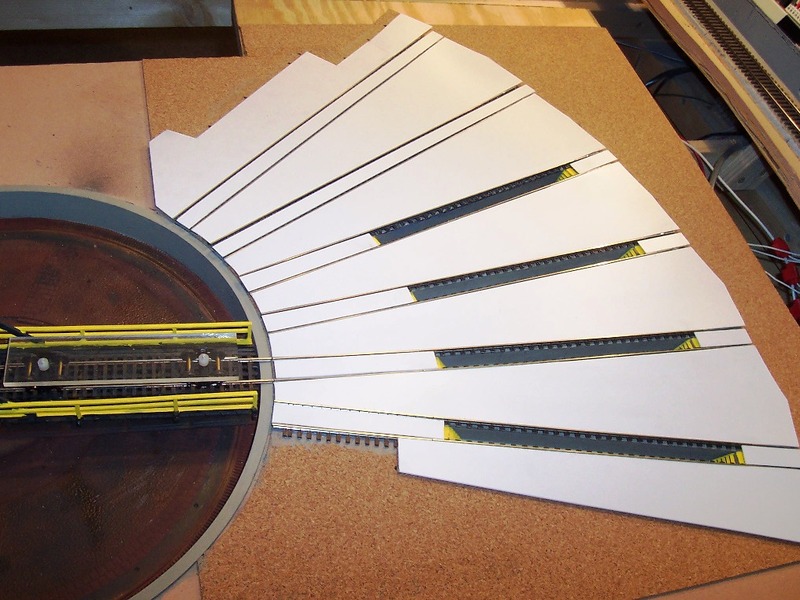 All styrene sheets were measured, cut, and placed between the rails and inside the rails. Then latex caulk adhesive was applied and all pieces were aligned and attached. The next step will be to score expansion joints in the styrene and then paint with the air brush and a 50:50 mixture of concrete and aged concrete paint. Once the paint is dry then the weathering step will be applied with an India ink wash and rust stains as well.